Eliminate toxic chemicals at your worksite. Improve efficiency of your closed loop systems. Choose Elysator instead of chemical treatments for corrosion protection. 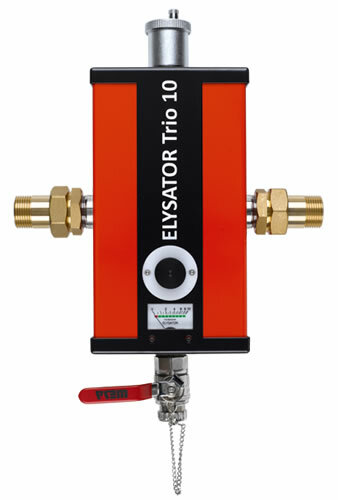 Trio for domestic heating and cooling systems up to approximately 1’500 litres of water content. Industrial heating and cooling systems with more than 1’500 litres of water content.